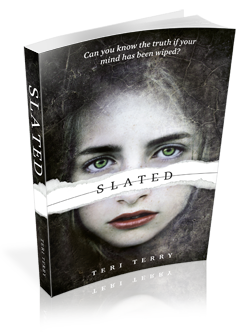 Today, I have the exciting privilege of sharing with you all the first TWO chapters from Teri Terry’s upcoming YA dystopian Slated releasing from Orchard Books on May 3rd! It looks like it’s going to be an awesome dystopian thriller, I love the premise. And this excerpt, well, it is fantastic y’all! Check it out….